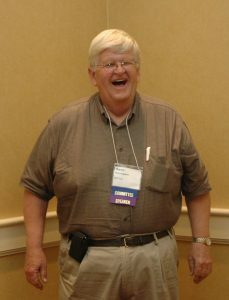 Longtime HTM professional and advocate David P. Harrington died on September 27, 2018 at the age of 77. His peers remember him as a man who loved to teach and help others which lead to him working with Mother Teresa in 1993. Harrington worked in medical engineering at New England Medical Center for many years, taught biomedical engineering at the Franklin Institute for two decades as well as at Wentworth, MIT, TUFTS and B.U., according to an obituary published in the Milford Daily News. “He was also very involved in the biomedical community, locally, nationally and internationally, had published over 100 articles and had worked with Mother Teresa while in India,” according to the newspaper. He is remembered by his colleagues and peers as a dedicated professional who shared his knowledge via his writings and years as an instructor. “Dave was a dedicated member of the HTM community, sharing his vast experience and wit in everything that he touched, including the articles I remember reading in the ACCE News! He will be greatly missed,” Huntington Hospital Director of Clinical Technology Izabella Gieras, MS, MBA, CCE, FACCE, said. Painter, who is also a past-president of the American College of Clinical Engineering (ACCE), said Harrington found many ways to give back to his profession. In short, Dave Harrington was the real deal. The family asks that ,in lieu of flowers, donations be made in his memory to the Medway Fire & EMS Association, 44 Milford St., Medway, MA 02053.